Teng Tools 1/4" ratcheting bit driver and 8 mm 12 point ring spanner. 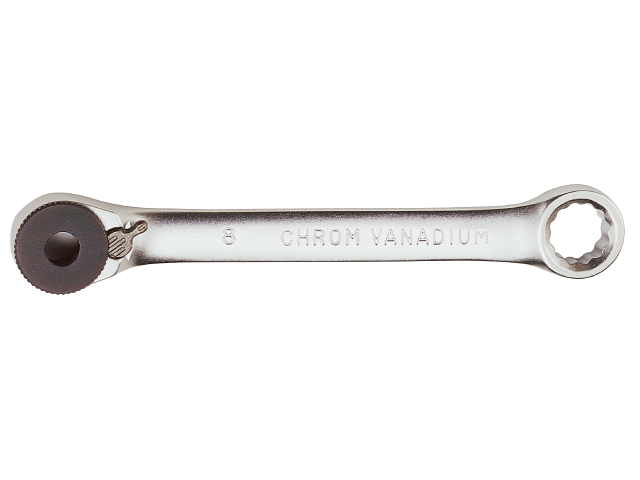 Manufactured of chrome vanadium steel. Satin finish.